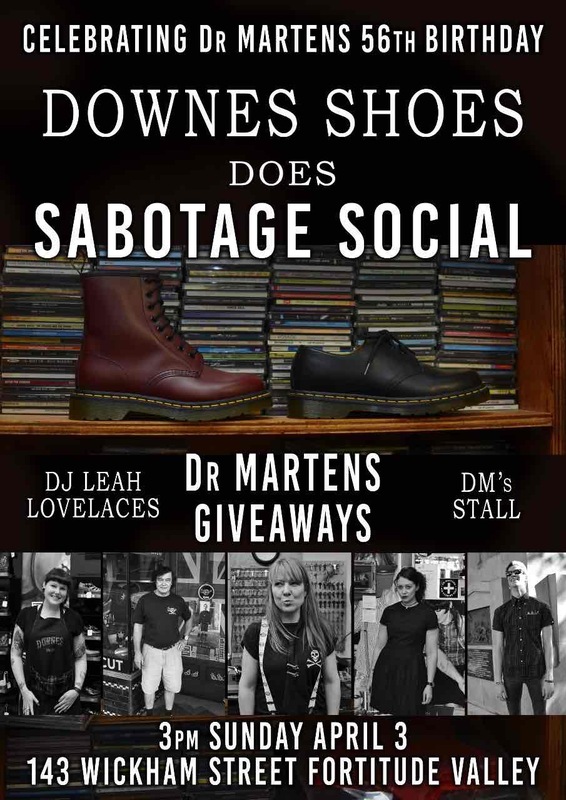 To celebrate we are heading to our favourite neighbour, Sabotage Social for a Sunday afternoon of music, drinks and DR MARTENS GIVEAWAYS! We will also have a sweet stall set up as well as shoe shines and general partying down to tunes care of our very own Leah Lovelaces. So if you are in the south east Queensland area on Sunday 3rd April and are over the age of 18, come on down as Downes takes over Sabotage!